So, you’re thinking about becoming a video game designer. Maybe your sister’s boyfriend mentioned something about it recently. Or maybe you’ve wanted to be involved in the creative process for video games ever since you first started playing them. Regardless of how you arrived here, this article will give you a good look at your options for taking the next step in pursuing this career. First, it’s worth going into a little detail about what it is that game designers actually do. If you want to learn even more about it, Udemy offers a course that serves as a quick introduction to what game design really is. We’ll outline it quickly below. A game designer is responsible for the majority of a game’s cohesion. As a game designer, you are responsible for figuring out the game’s makeup. What elements exist in the game? Why are the elements there? You will typically work with a team of designers, and this team is tasked with coming up with and defining essentially all of the pieces of the game. The designers are pretty much responsible for coming up with everything. Other times, the game’s main elements are already created, and it’s up to the designers to figure out the best way to build the game using those ingredients, within certain parameters. The parameters are typically things related to budget and timeframe. Once the game’s vision is fleshed out, it’s up to the designers to communicate the vision to the programmers, the artists, and the rest of the production team. The game goes through a few different development stages. It’s up to the designers to make adjustments when they’re needed. Maybe the technology isn’t capable of handling an ambitious project, or maybe the budget or time window isn’t large enough for the time needed. Either way, the design team works with the programmers, artists, and the rest of the crew to make the necessary tweaks. As you can see, this is a position that requires a lot of collaboration, a good bit of creativity, and problem-solving skills. What other skills might you need to be a game designer? We’re glad you asked. The team over at CreativeSkillSet.org has put together a great list of skills that are necessary for any game designer. The role some of these skills have on the job are obvious. You’ll need to be able to communicate and present your ideas to the rest of the development team in order to get approval for the game to move forward. You will probably have to do this more than once throughout a design process. Bigger games can take years to develop. With basic knowledge in a number of skills, like user interface design, programming, and drawing, the game designer has a grounded, realistic sense of what a team can produce within the time window and budget constraints. It is possible to enter the video game developing world without any specific game design degree. 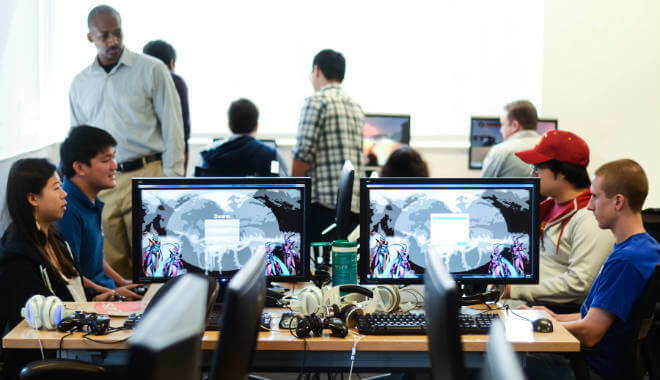 This option is becoming less prevalent, as more and more colleges are creating game design and game development degrees. Now, a great way to show a company you have the tenacity to stick with a project long-term, and to show a company you’re serious about this career, is to earn a degree in a relevant field. Degrees in fields like computer science and computer programming aren’t bad options if you’re looking to become a game designer. However, since an abundance of colleges now offer actual game design degrees, and game development degrees, we will focus on those for now. How Long Must You Study? Getting into game design is unique because there’s no real “right way” to do it. Most of your decisions will come down to personal preference and criteria unique to you. One of the varying factors is the length and type of educational program you enroll in. And gee, do you have options! The Associate degree approach is not a bad start on your game designing path. A two year program is enough time to get decent exposure to the fundamentals that will be driving your career. You’ll experience industry software, and you’ll be introduced to creative concepts surrounding successful game creation. Coding, scripting, design theory, and illustration are other things you can expect to dabble in during your two year stint in an associate program. 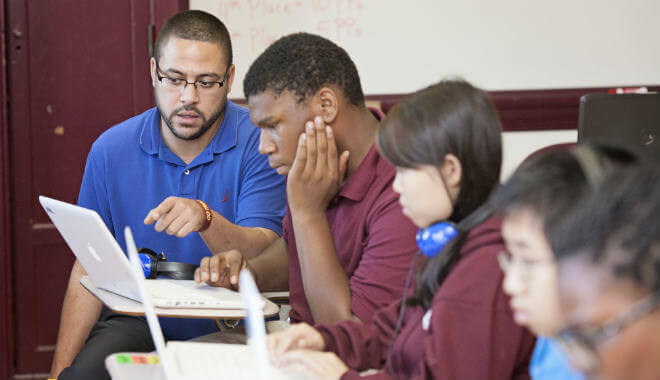 The only prerequisite for entering into an associate program is a high school diploma or a GED. It’s worth noting that a game designer position is a coveted position. In most cases you will not be able to walk out of college with your degree and land a job as a game designer. It’s significantly more likely that you’ll grab a position somewhere in the game developing field. From here, you’ll be able to accrue some invaluable industry work experience. It’s these years getting your feet wet in the industry that will really help you on your path to landing a game designing job. Still, even with the emphasis on industry experience, an Associate’s degree can help get a job that acts as a logical stepping stone towards your dream position. A two-year degree will be better than nothing, especially with the competitive trends showing up in the job market. The bachelor’s degree approach means two more years of exposure to computer programming courses (as compared to an associate’s degree). It will also give you more time to explore traditional art courses and gain a more thorough understanding of illustration, drawing, and design. Two more years also means twice as much time to develop your portfolio. Completed games or detailed proposals are extremely helpful in showing potential employers what you can do. As we mentioned, the game developing field is getting increasingly more competitive. Video games are a multi-billion dollar industry. People want in. Any chance you have to make yourself stand out, you should take. Like the associate’s degree, you will need to have your high school diploma, and most schools will be looking for SAT and ACT scores as well. If you’re looking for a traditional, campus-based college or university, here is a 2015 list of some top options. There are plenty of varied locations in there. With schools from California to Rochester and Utah to Pennsylvania, you’ll likely be able to find a school that works for you. What if you want to forego the campus life? What if you’re employed full time in a different field? What if you have a family or other obligations? Time to welcome the beautiful world of online courses. There are a wealth of benefits to online courses. There was a time when online schools weren’t taken seriously, but that stigma is rapidly fading. When it comes down to it, you just can’t beat the convenience. There’s also a price factor. Traditional expenses, like lodging and meal plans, aren’t weighing on your wallet when you don’t need to leave your home to attend college. It’s like you’re already getting experience with time and budget constraints. Throw that on your resume (Just kidding)! 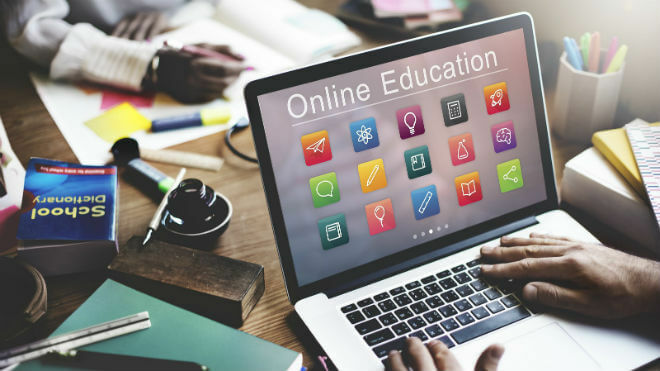 If you don’t mind foregoing the campus experience, or you’ve already experienced it once and you’re looking to go back to school, online schooling is a great option. 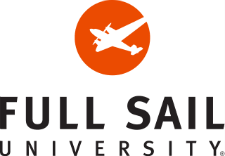 There are a number of accredited schools to choose from, like Devry University and Full Sail University. Those schools, along with others like Rock Mountain College of Art and Design, offer the opportunity to develop pertinent skills and impressive portfolios. An associate program will get you out into the industry the fastest. A bachelor program will give you more time to develop your skills and build your portfolio, and open you up to pursue your master’s degree. An online degree for either program means increased flexibility and potential savings. As is typically the case for master’s programs, to enroll you are required to have your bachelor’s degree in a related field. Obtaining your master’s degree, especially if you have good experience in the field, gives you a better shot of landing a game designer position right out of the program. The years of study and the immersion in advanced topics makes you a valuable pick-up for a video game production company. What About Training and Skill Development Courses Outside of College? Whether you’re looking for training to supplement your degree, or supplant your degree pursuit entirely, there is a wealth of online course offerings to help you along. Lynda.com, for example, has over 30 game design courses with over 1,200 video tutorials. 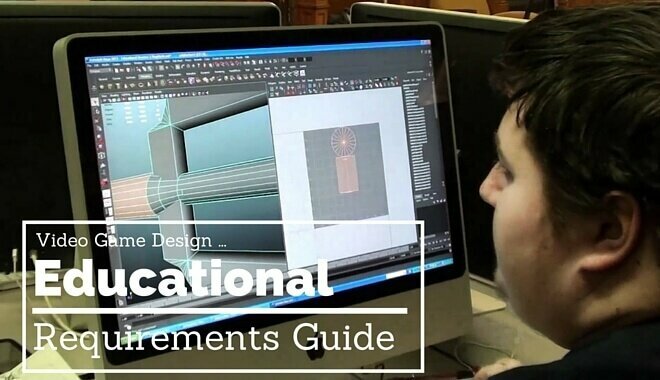 They offer courses in everything from prop creation to level design. Lynda.com offers a free trial, so you can give it a test run and see what you find on there. Then there’s Udemy. Instead of being subscription based, you pay per class. Most seem fairly inexpensive for the several hours of instructional content they offer. Udemy lets you know the difficulty level for different courses, too. It varies from beginner to expert. Then there are sites like The Game Institute, which is dedicated solely to the world of games. This boasts a reasonably priced flat fee for 6 months or a year depending on how much you want to bite off at once. There’s also a 30-day no-risk money back guarantee. The benefit of using a service dedicated to the gaming industry, like the Game Institute, is that you’ll have access to forums full of other like-minded individuals. Puzzling out your problems with other aspiring game developers will serve you well as you’ll continue to collaborate in a professional setting. With over 59% of Americans playing video games, there has never been a better time to get into this growing field. There are ways for you to get started no matter where you are on the path to becoming a game designer. Training and skill development courses can be taken before you receive any formal education. A great way to excel beyond your peers is to mess around with design software yourself. Forums, too, give you access to a real treasure trove of free information. If you still aren’t sure if game designing is right for you, you should try and connect with a game designer currently working in the industry. Look at the development teams for three or four of your favorite games and see if you can get contact information for any of the designers that worked on the game. If you live nearby, you could take them out for coffee and pick their brain about what they actually do. If they are far away, ask them for a quick five minute phone call or skype session. Chances are you’ll find someone willing to answer your questions, and they’ll be able to tell you exactly what you want to know about game designing. People like to help other people, it’s a human thing, so start tracking some people down and making some moves. Hopefully you’re inspired and excited to take the next steps.